Pawtree - Because Pets are People Too! Our goal is to help you become the best you possible. Our focus is on Leadership Training and Mentoring, as well as Personal and Business Development. We are experts in MLM Marketing and Social Media. We are a subsidiary of Leigh Michele Enterprises and a sister company of Here for You a telecoaching and mentoring company. We understand that income these days is not disposable and will work with you to fit within your budget. 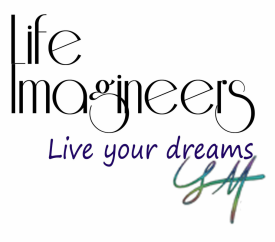 ​Life Imagineers, LLC is a Founding Consultant for Luminess Airess (Airbrush Make-Up) and an independent distributor / consultant for: Abby & Anna (Clothing), Aloette (Skincare), BeautiControl (Cosmetics), Chloe + Isabel (Jewelry), Lilla Rose (Hair Accessories), LipSense (Cosmetics), Melaleuca (the premiere Online Wellness Shopping Club), PawTree (Pet Products) and Zija (Health and Weight Loss). We may be adding more lines as we assess their quality. ​Because we believe that relationships are key to developing customer and providing customer service, we pre-qualify lines offering you only the best of the best and making us your own personal shopping mall. If there is a line you love and want to offer with your friends and family, we help you start on a path of success and financial rewards through our coaching and mentoring. We want to be your one stop shop. Thanks for checking us out. We look forward to getting to know you better!